The Senate passed its version of the state budget for the next two years. Democrats are banking on getting some last minute changes ahead of Wednesday’s updated revenue forecast. 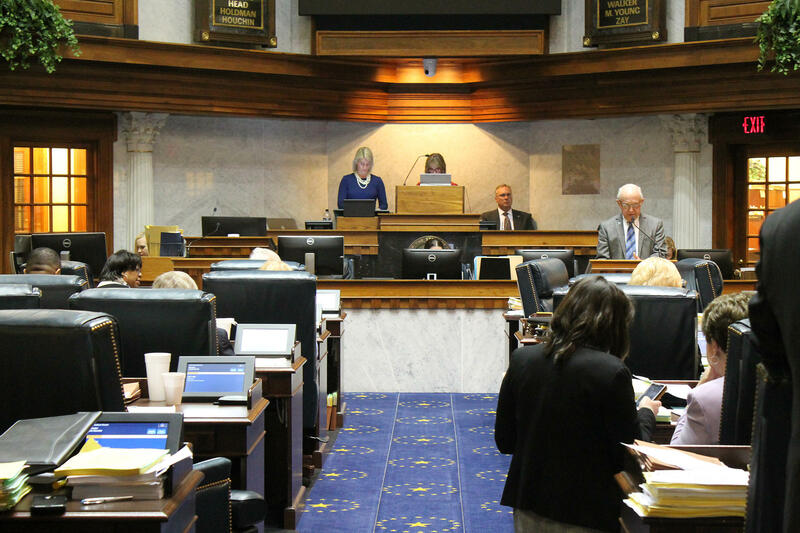 The Senate version of the state’s budget sends an additional $535 million to schools over the next two years, a slight increase over the House version of the bill. Several Democrats, like Sen. Karen Tallian (D-Ogden Dunes), say they hope for changes as the House and Senate make the final adjustments to the bill. “And our budget is always tentative, until we have the final April revenue forecast. That comes tomorrow,” Tallian says. Among those changes: loan forgiveness for East Chicago Schools and returning $28 million dollars in support to retired teachers. Lawmakers will need to agree on a state budget before the session ends this month.